Capable of climbing up the slope of 60 degrees and go up to 72 km. This tank also has a cruising range of 550 Km. and two 7.6 mm machine guns. Leopard 2A6 tank crew to operate 4. Each served as a tank commander, gunner, loaders and drivers. 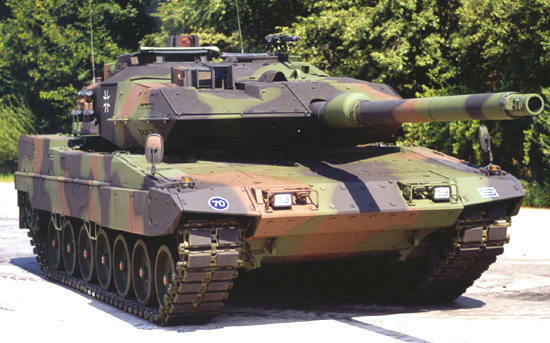 When this type of tank is dgiunakan Germany, Canada, Greece, Netherlands, Portugal and Spain as a mainstay.